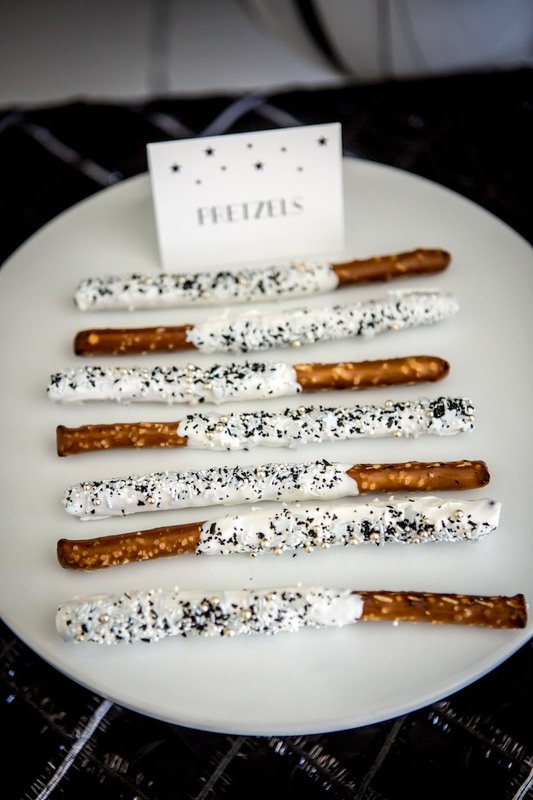 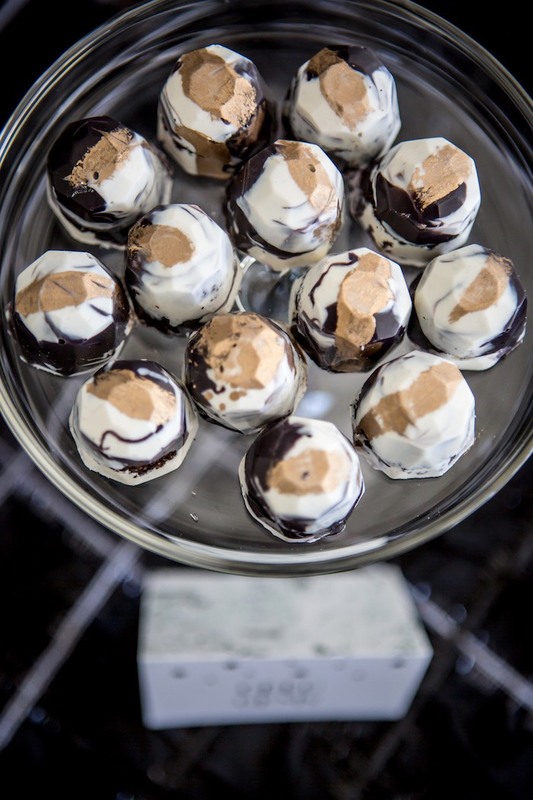 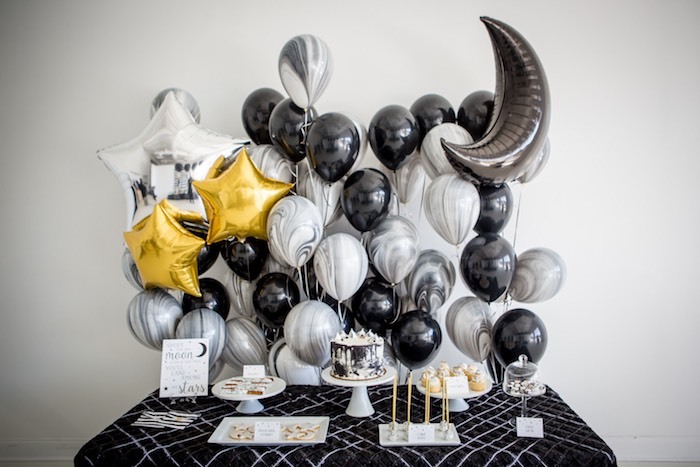 Looking for party ideas that are out of this world? 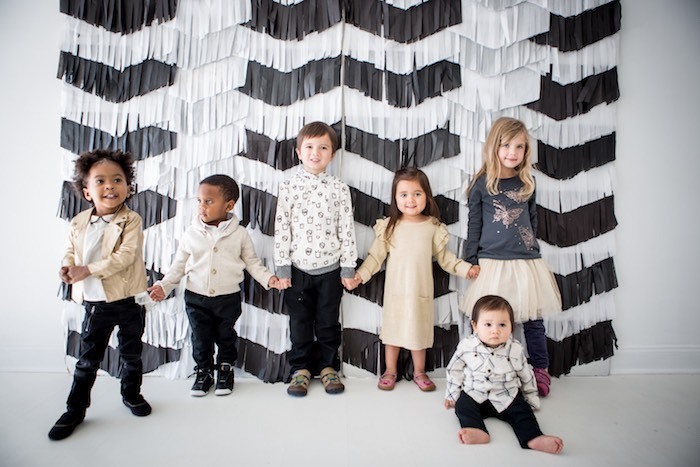 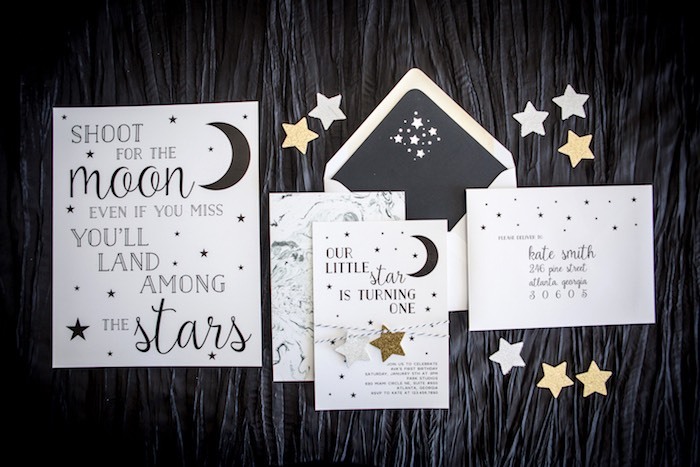 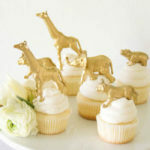 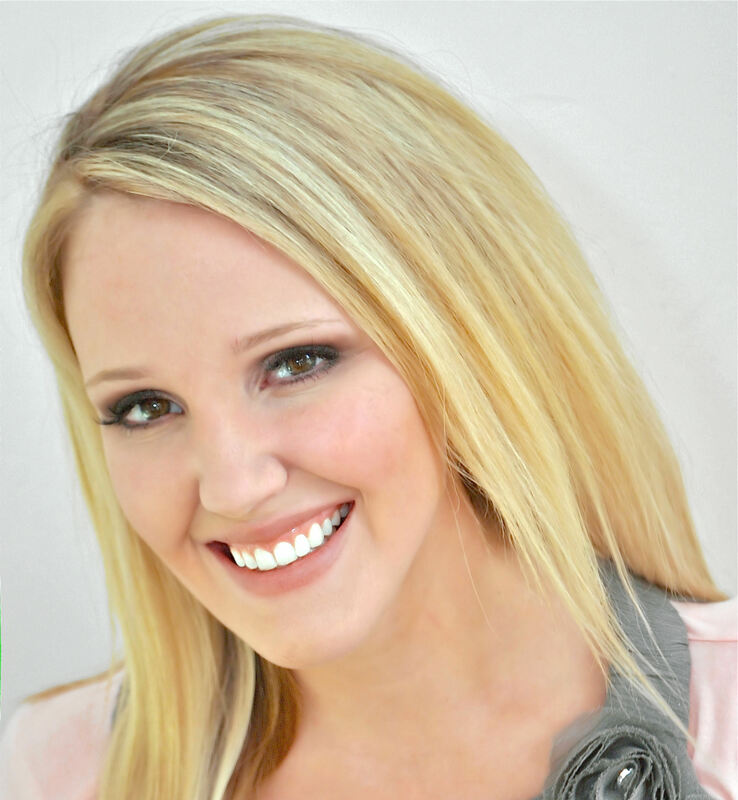 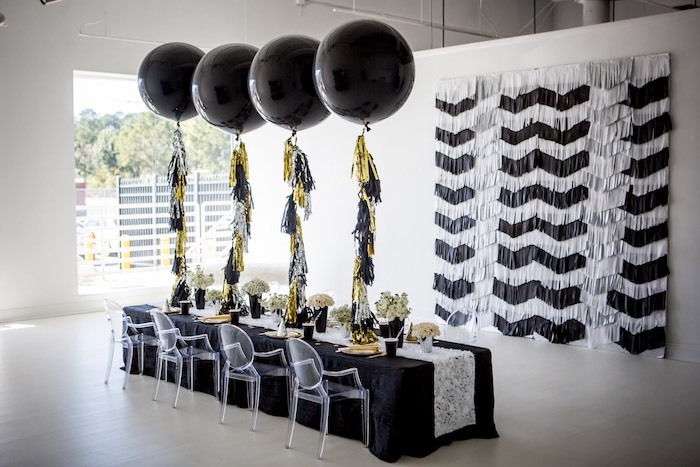 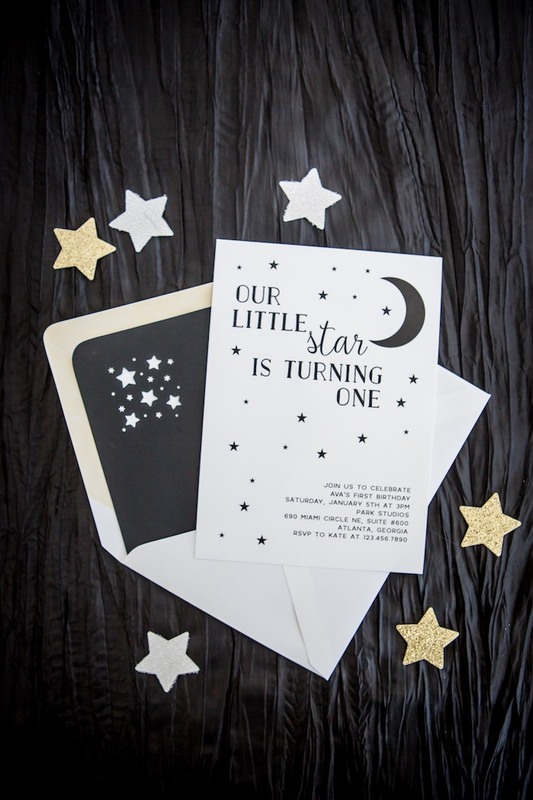 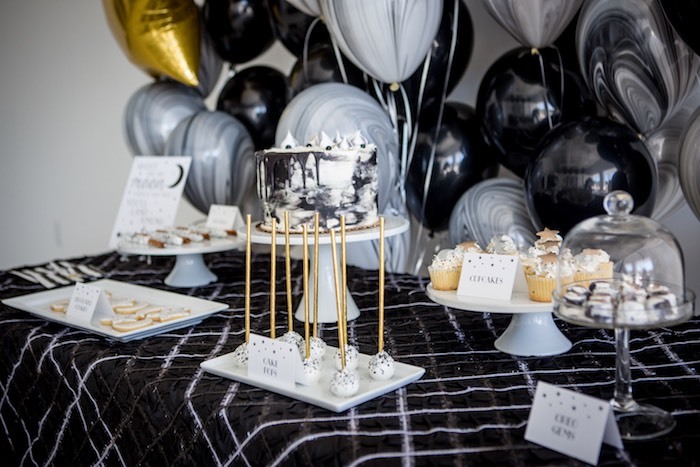 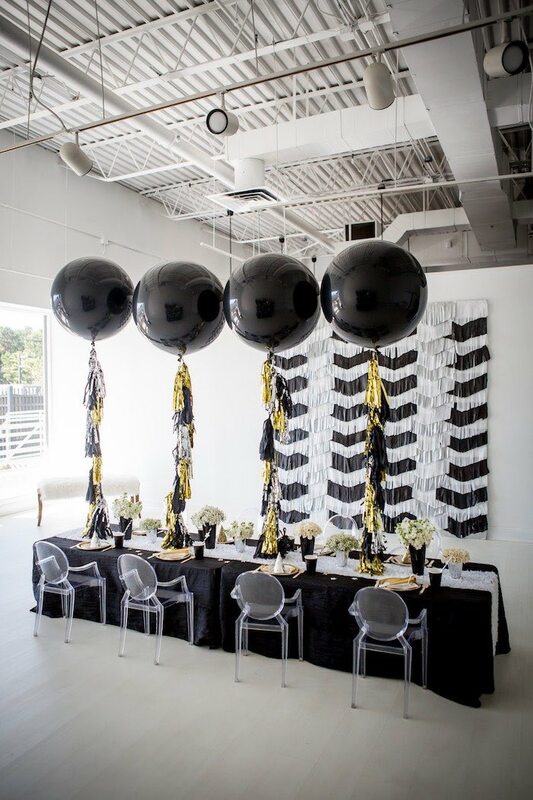 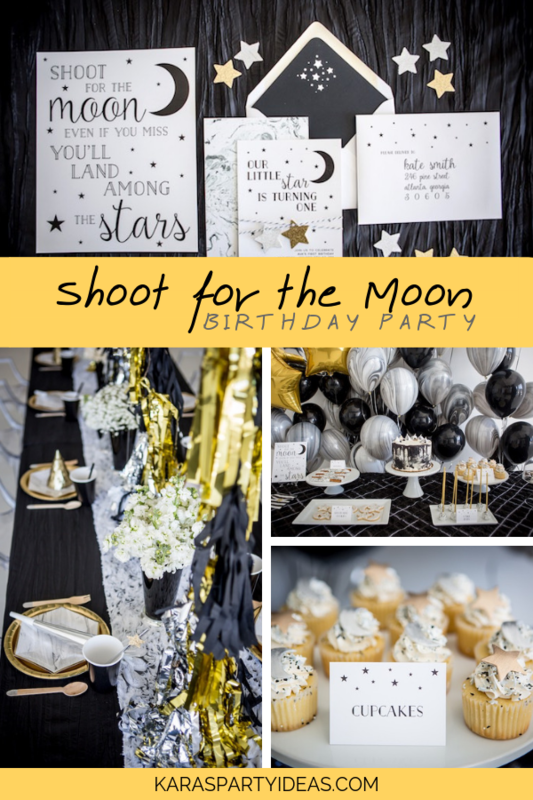 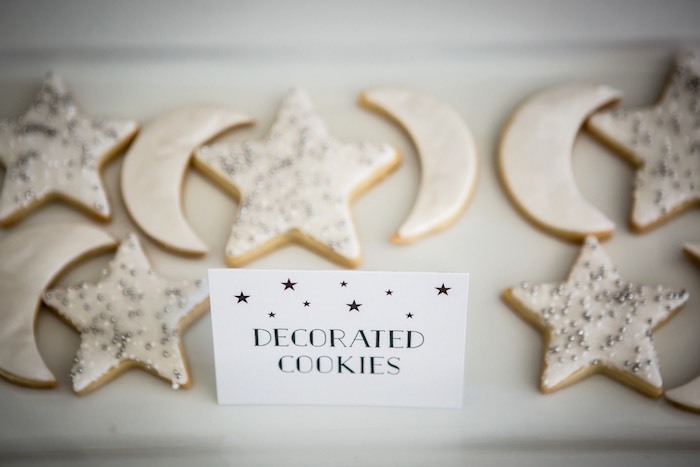 Check out this “Shoot for the Moon” Birthday Party by Michelle Gainey of Lemiga Events, out of Atlanta, GA! 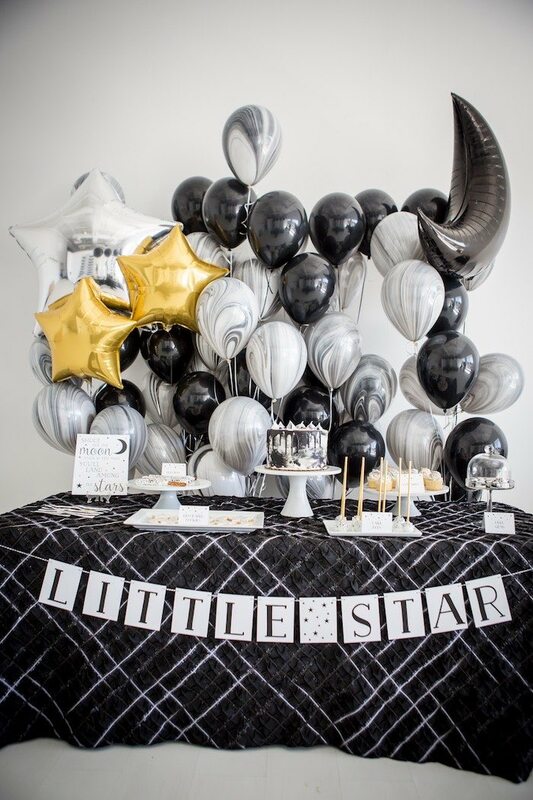 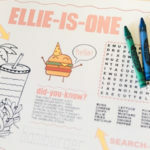 Packed with details shimmering and fun, this birthday celebration is a fabulous one! 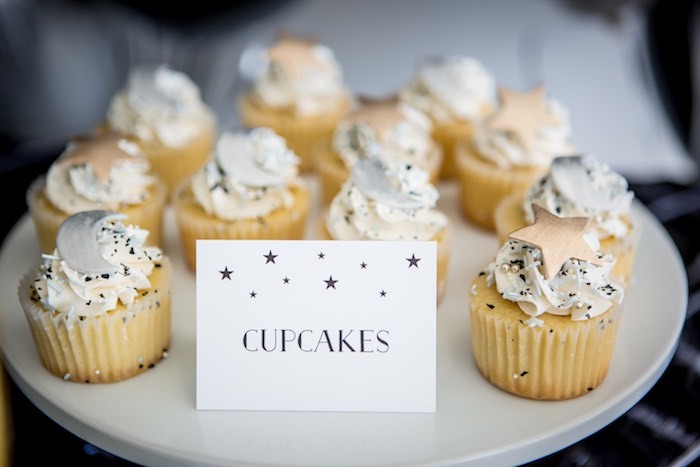 And Sprinkled Cupcakes with Fondant Moon + Star Toppers! 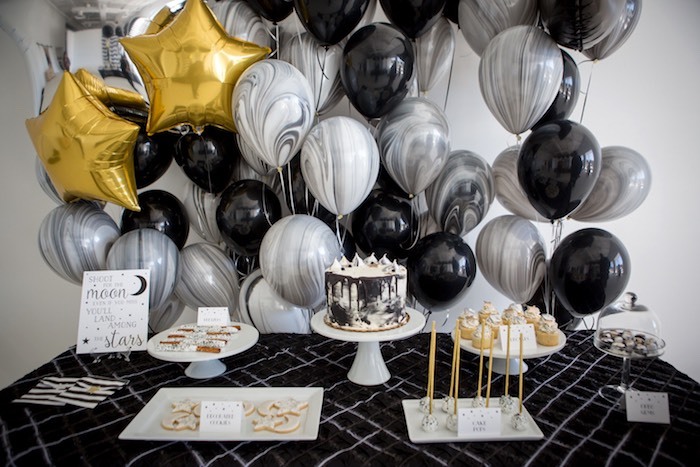 “This is not your typical Kids Party. 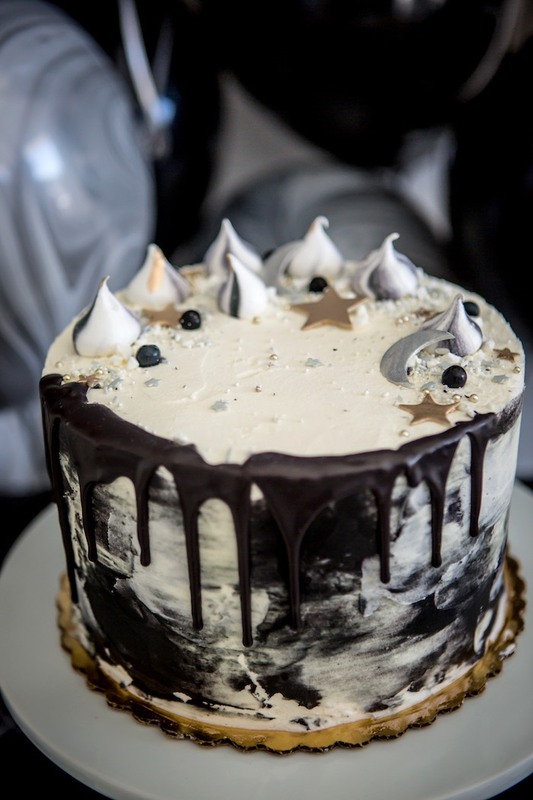 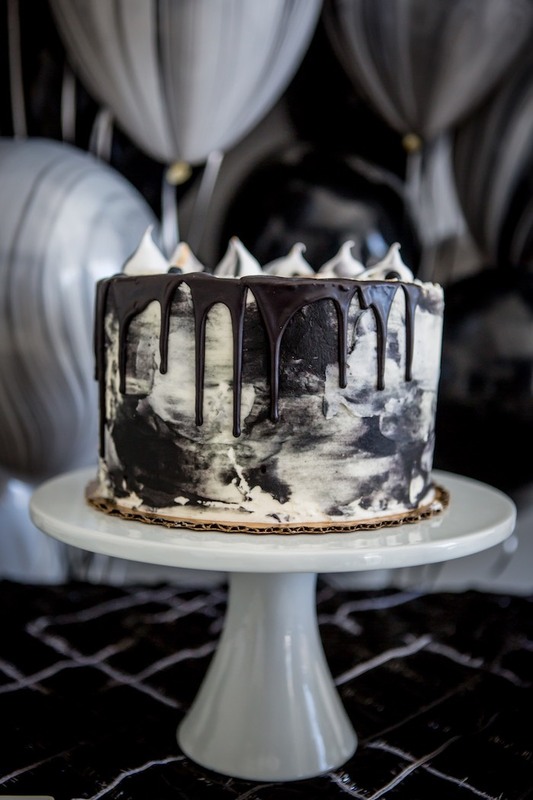 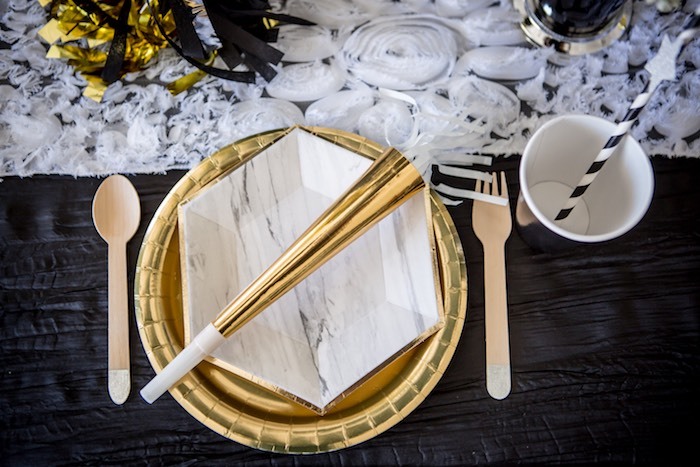 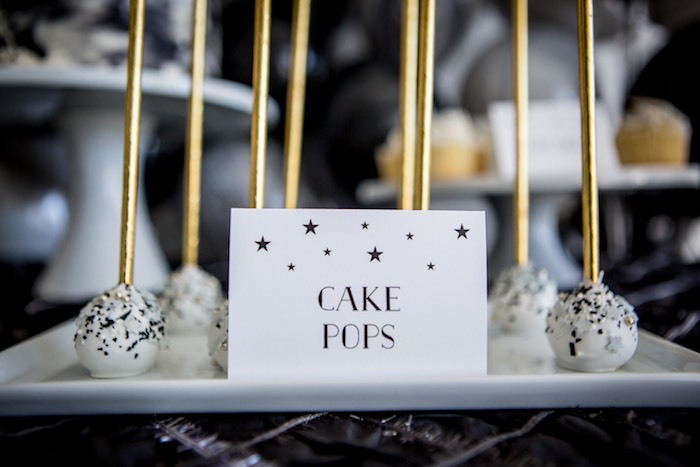 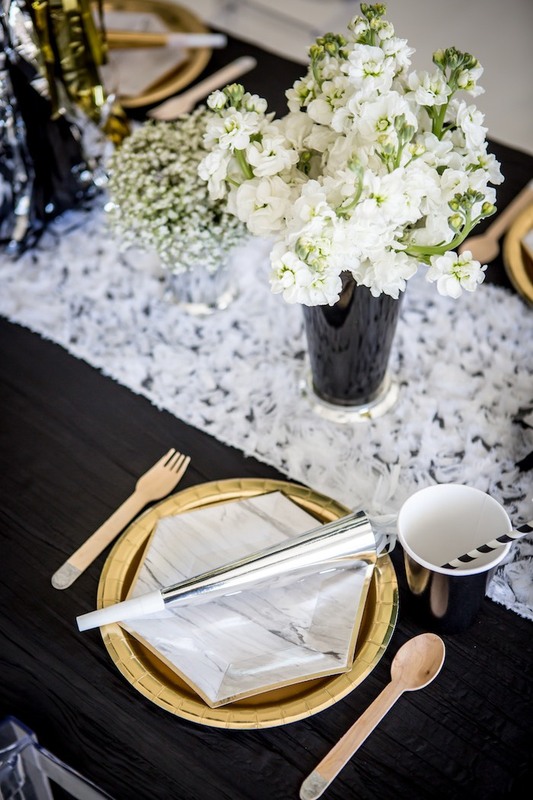 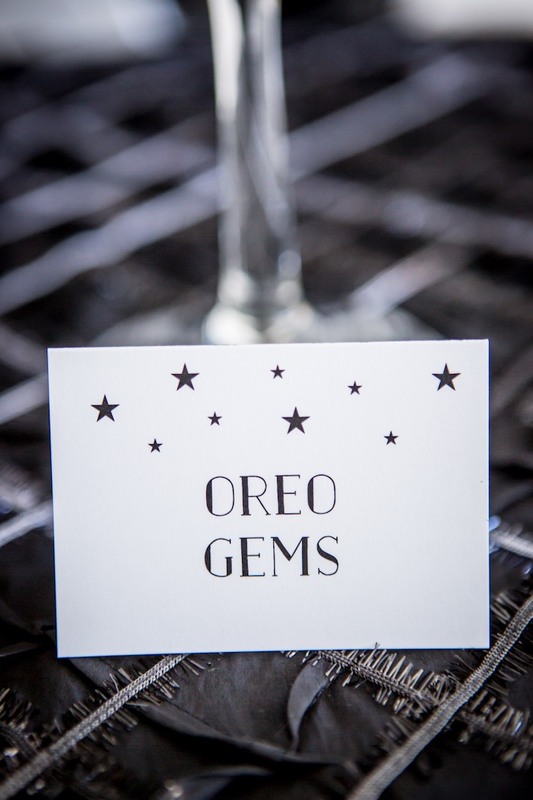 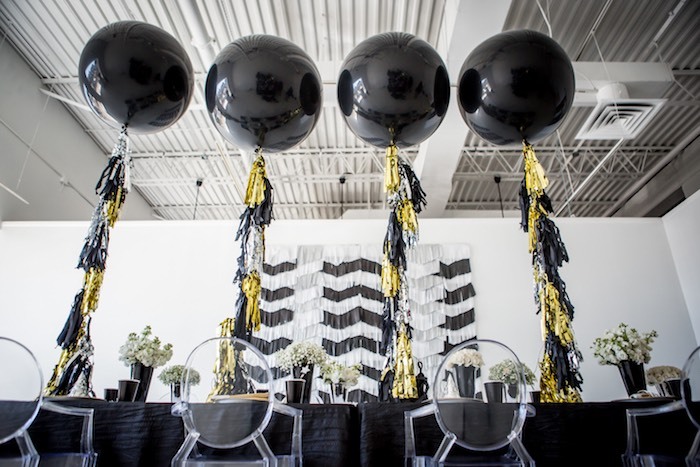 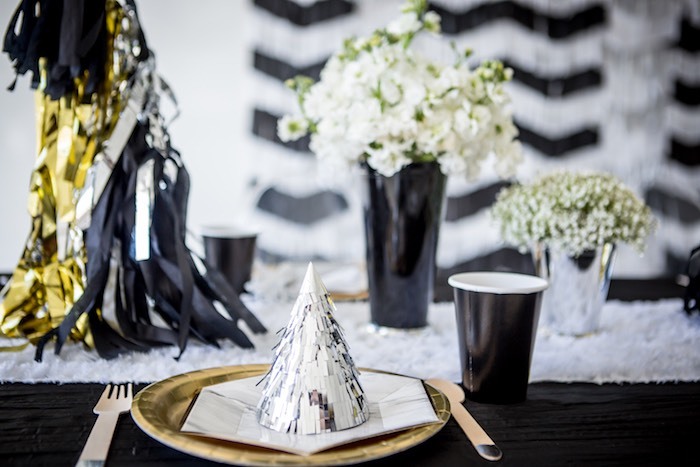 With a clean and modern motif, the marble accents and a sophisticated palette of black, white and metallic is truly designed to make all your guests feel like a star  no matter how old they are. 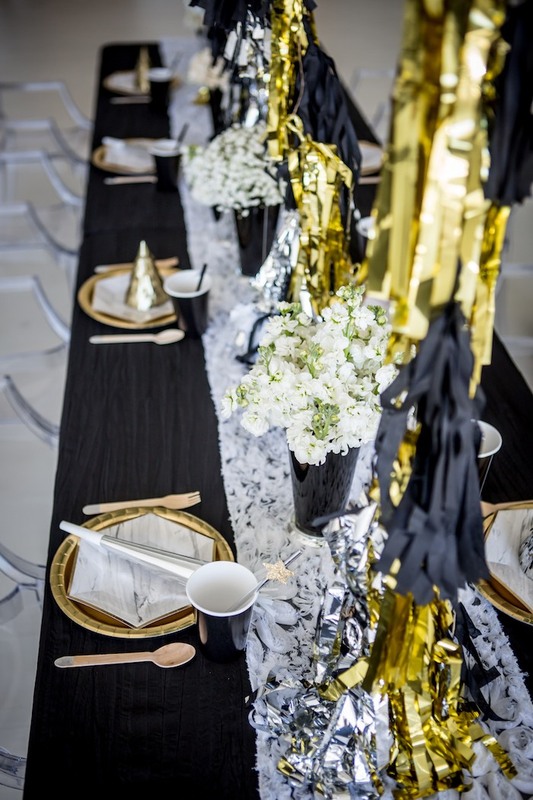 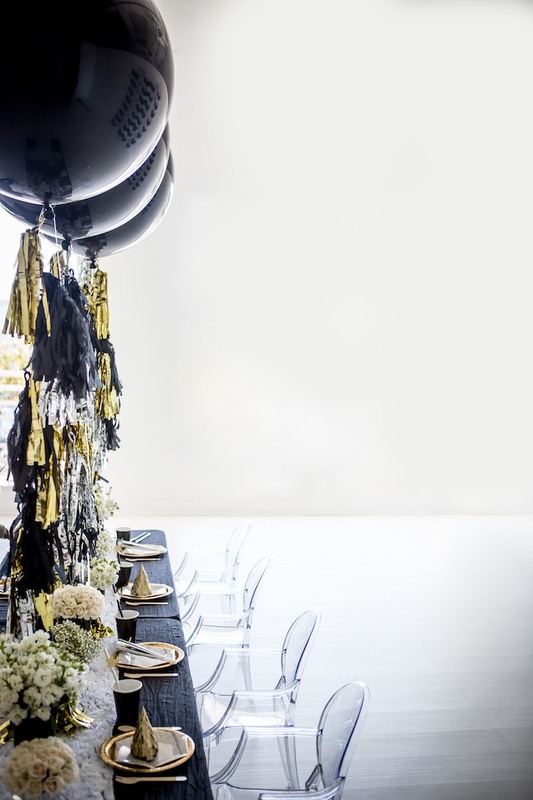 Unique details of this party design include custom linen for the kids table, kid-sized ghost chairs and an assortment of subtle, yet lush flower arrangements. 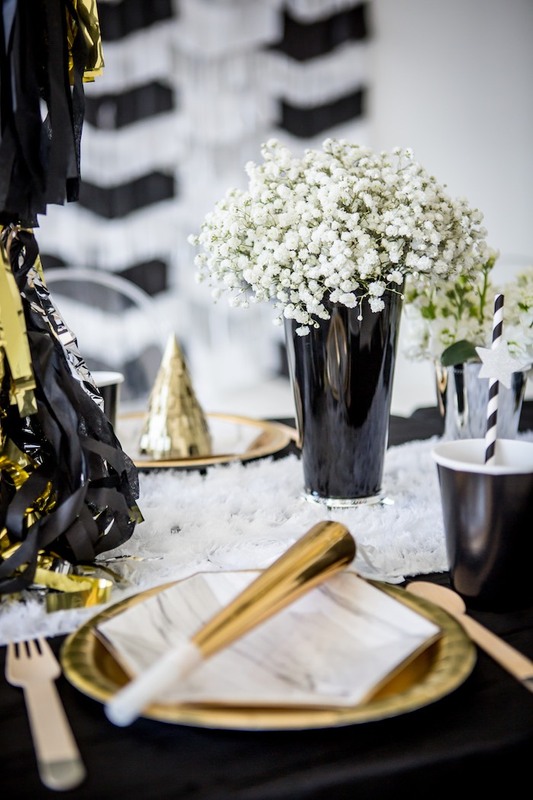 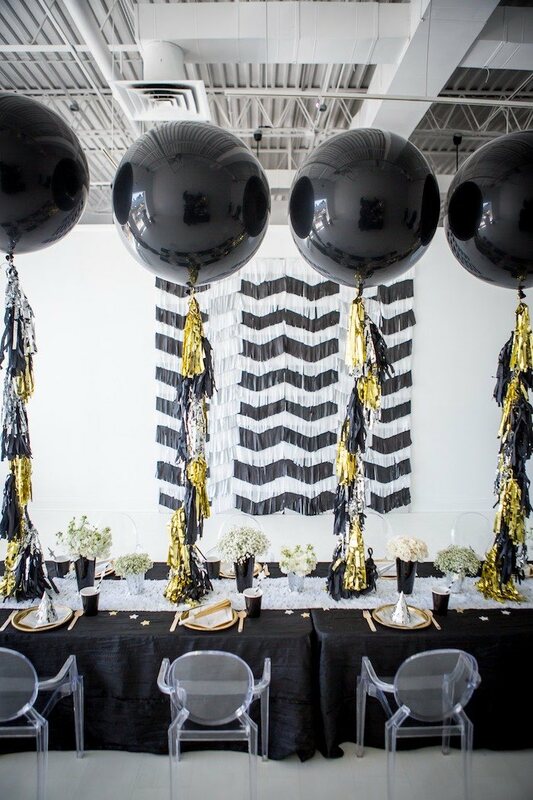 This decor would be perfect for New Year’s Eve!